Bramble is an adventurous little mole. She loves to explore, play and do fun , exciting things. There is one thing however where Bramble is not brave at all. At mealtimes Bramble is a very fussy eater. She won’t eat slimy or crispy food, or anything with bits in it. Bramble’s mummy and daddy need to find a way to help Bramble be brave with her food. Bramble is an adorable character. 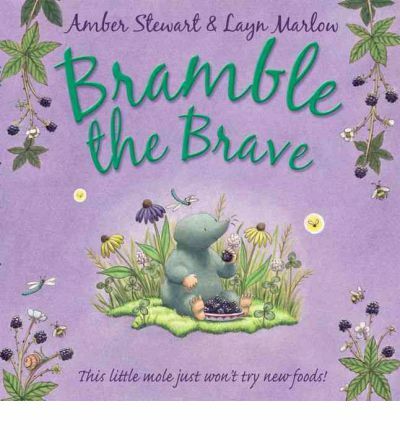 The story itself is easy to understand and Mummy and Daddy gently lead Bramble to the end they want, her trying new foods and being brave in everything. The illustrations are heartwarmingly cute. This is a wonderful story that is perfect for the fussy eater.